The Rise of Troll Farms. Can You Really Trust Social Media in a Crisis? Way back in 2008 I read ‘Wikinomics’ by Don Tapscott and Anthony Williams, and it pretty much changed my life. At the core of Wikinomics was the idea that the large-scale collaboration of people online, was going to change everything we do. The ‘phrase d’jour’, was Web2.0; used a lot at the time to describe the ideas around ‘online mass collaboration’, including what we now recognise as social media. Wikinomics was full of inspiring examples of Web2.0 working in real life, including one about the response to a disaster that really intrigued me. Computer Coders to the Rescue. This was the story of how a group of computer coders had quickly come to the rescue following the 2005 Hurricane Katrina; which had devastated many USA Southern States and in particular New Orleans. Responding to the missing persons crisis almost 3000 computer coders gathered online; developed and populated a system called “People Finder”. The system automatically collated data from the dozens of fragmented databases, message boards and other sources online where people were posting information. The result was a single source which outperformed any government initiative and more importantly, helped to reunite people with loved ones. It’s an inspiring story, well worth reading about in Wikinomics (pg 185 -188). 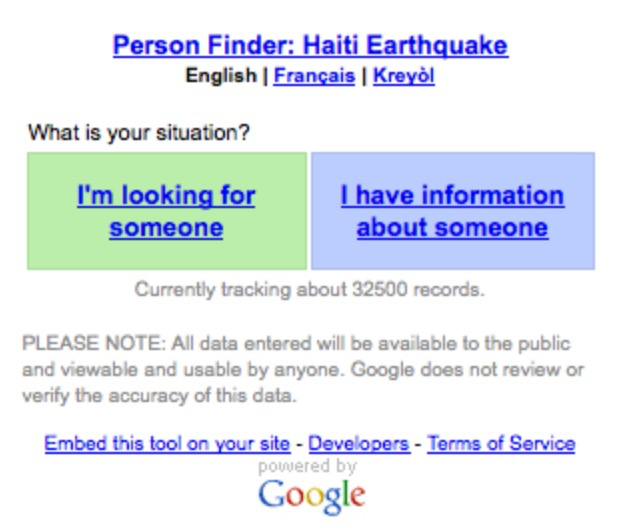 Since Hurricane Katrina organisations like Google have become active in helping locate people during a crisis with Google Person Finder, continuing the good work started by the Web2.0 Katrina Coders. Mass collaboration online, Web2.0 as it was described, (including social media) was going to save the world, and I was hooked! Imagine my disappointment several years later when some people who really know about Web2.0 started telling me that “you need to be cautious of social media in a crisis”. My ‘caution’ was needed because social media was being systematically used and manipulated to influence how people behave. They suggested that, “approximately 30% of tweets in a crisis are ‘bot’ (automatically) generated, and many are specifically aimed at escalating the incident”. The reason why this happens was not explained (or fully known I suspect), so I was happy to partially ignore it. Web2.0 and social media is a force for good….. Isn’t it? The Rise of The Troll Farm. Then I bumped into the phenomenon of Troll Farms, so I sat up and paid close attention. Basically Troll Farms are coordinated efforts to spread misinformation through social media for an unclear but often dubious purpose. This article, ‘The Agency’, in The New York Times describes a social media crisis that ‘somebody’ manufactured in the town of St Mary Parish in Louisiana in 2014. Anyone looking at social media at the time would have been convinced that a local Chemical Plant had actually exploded. Imagine how that would make you feel if you lived anywhere nearby, or had friends and family in the vicinity? Basically there was a concerted effort via; Twitter, fake websites, You Tube videos, Wikipedia pages, texts and other methods to create the impression that there had been a major explosion at a Chemical Plant in St Mary Parish. Nobody seems to know why, but the scale of the efforts suggest something very well-resourced and highly organised was behind the ‘crisis’, possibly a ‘foreign state’? The New York Times article goes on to talk about the workings of the Internet Research Agency, an alleged Russian Troll Farm*. It’s all very interesting, detailing how workers would spend 12 hours a day on multiple false social media profiles spreading misinformation for a particular purpose. 100’s of staff spending 12 hours a day doing things like innocuously commenting on blog posts while subtly (or not) inserting political messages. Depending on your point of view, you can decide how much of The New York Times article might also be misinformation about the Russian misinformation service (it’s a funny old world). *Note – Other Troll Farms are probably available – this isn’t just a Russian thing. Other Countries/Large Corporations/Political Groups very probably have their own equivalents of ‘Troll Farms’. Why on earth would someone want to manufacture a crisis using social media? Why would someone want to escalate an existing crisis using ‘Twitter bots’? I’m not clear on any of the answers to these questions. I do however think that some of the challenges aren’t very different to what we’ve always faced – people want to influence what we do by feeding us certain types of information. The rise of Web2.0 and Troll Farms just seems to give a bit more scale and speed to the transfer of the (mis)information. But no need to panic just yet (Mr Mainwaring) and switch off your social media. The trick in responding might be bit of old-fashioned good practice; check your sources, work out who you can trust, test what you find and do a bit of ‘triangulation’…… before you press the share or retweet button. 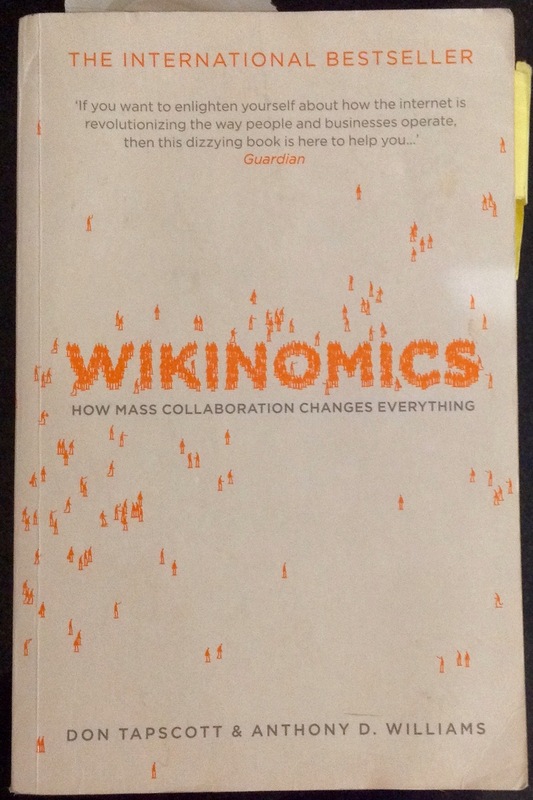 Tapscott and Williams were right in Wikinomics – Mass Collaboration Online has changed (just about) everything. As with many ‘tools’ available to humans, we can choose to use them for good or bad purposes. How we deal with the information we receive hasn’t changes that much, always check your sources and work out who you can really trust, especially in a crisis. Really interesting article Chris. 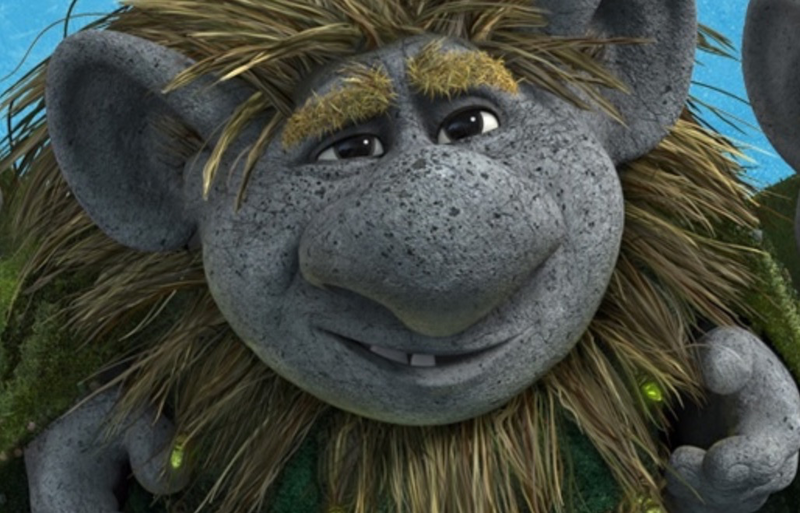 I must say Im fascinated by the idea of internet trolls. Not so much the obvious people with an extreme view or those who feel it appropriate to ‘attack’ a real human being simply because they live behind a ‘by line’ on an internet article, though thats bad enough. Im especially interested in things like those Facebook stories that are simply untrue. Tales of poor unfortunates or quotes from eminent people that simply didnt emanate from them. I’d love to understand the motivation behind some of these, especially the elaborate ones! Now you’ve given me a theory that is some kind of fifth column designed to destabilise all we hold dear with mis information! My guess is that we’ve always had groups who wanted to influence other groups of people by feeding them certain types of information. In the past when there were fewer outlets, and professional journalists, the message was checked and edited to make sure we got a reasonable version of the truth (in theory). The world of the Internet has allowed anyone to become a publisher of content. Great in so many respects, but open to abuses from those with an agenda. Like you, I can see why angry individuals might troll, but the organised trolling and Troll Farms seems to be something on a different level. The conspiracy theorist in me does wonder why would someone fake the news of a chemical plant explosion? Was it a test for something else when during the ensuing panic they carry out another act ….. I think I’ve been watching too many heist films….. I’ll stop now. On the positive side, I would say that lots of people are getting a bit more savvy about who’s real, and who’s a Troll…..and how they share information. All part of the ongoing evolution of how we behave online. HI Chris – Serendipity or something similar – after our conversation about Troll Farms last week – have a look at the Guardian review of The Red Web, (Soldatov & Borogan) http://www.theguardian.com/books/2015/sep/02/the-red-web-review-andrei-soldatov-irina-borogan-review-russias-attack-internet-freedoms. “The trolls sit in a comfortable glass office in St Petersburgh. They earn $900 a month…” Clover p.s. only comment on the article is that Snowden has commented on restrictions. Just to reiterate “other Troll Farms” are available. I do like the line in this article about the response to the claim that governments were involved in large scale surveillance, “in Britain it was met with a yawn”…..
Ah, there is nothing much new in the world. I wonder if there are a few cave paintings knocking about that reported an explosion at the Tar Pit? As I recall the War of The Worlds caused real panic in some quarters. I wonder if we are becoming a bit more savvy and the attempts to manipulate us are getting ever more sophisticated? Where is the information about UK/US troll farms and astroturf campaigns on the internet? Astroturfing was a new description. ← Learn the Rules Like a Pro, So You Can Break Them Like an Artist.